For players of all abilities, the key to a lower score lies in mastering "The Short Game". 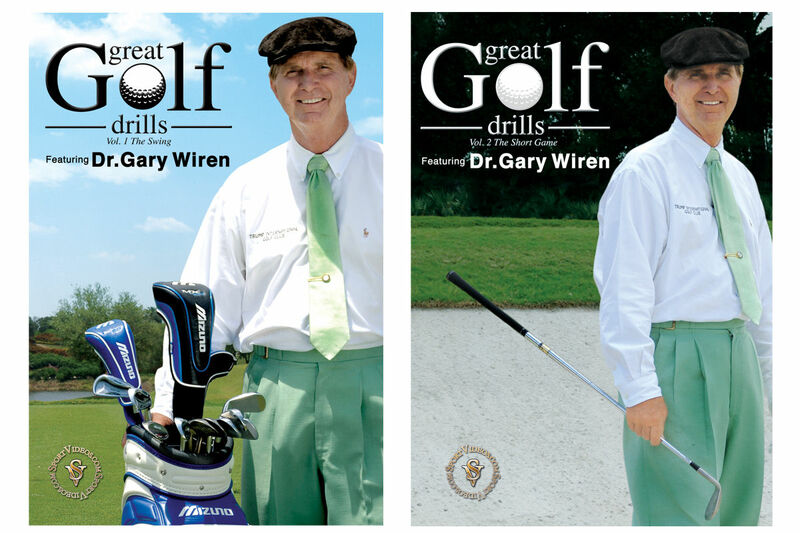 In this informative video, Dr. Gary Wiren takes viewers step-by-step through the drills and tips needed to improve their proficiency around the greens. You will learn which shots to play in different situations and how to develop the touch necessary for a great short game. This video will help you to learn the correct principles of practicing the short game and dramatically lower your scoring average! 43 minutes. 2007. Great Golf Drills: The Swing Rapidly improve your golf game with detailed instruction from one of America's leading golf teachers. In this comprehensive video, Dr. Gary Wiren provides numerous drills that will help you to develop a consistent and powerful golf swing. The program allows viewers to customize their practice sessions to meet their individual needs. Whether you are a high handicapper or scratch golfer, you will benefit from the extensive drills and concepts in this program. 56 minutes. 2007. About the Coach: Dr. Gary Wiren is a golf educator, a Master member of the Professional Golfers Association of America, and a former national PGA staff director. In 1987, Wiren was selected by the PGA of America as its "Teacher of the Year" in the USA. He has consistently been picked by Golf Magazine and Golf Digest as one of America’s Best Teachers. Gary Wiren is the only active member of the PGA of America to have been inducted into the PGA Hall of Fame (2006) and the Golf Magazine World Golf Teachers Hall of Fame (2007).